Whether you suffer from skin conditions like eczema or psoriasis, or just like to take luxurious care of your skin, you might want to soak the following skin-soothing flowers in your warm bath water. Dandelion sap, also called dandelion milk, is often used in treating skin conditions that are caused by fungus or bacteria. 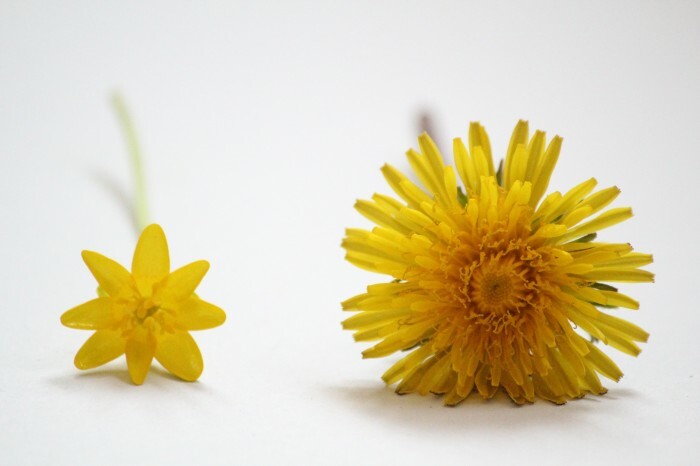 Soak some dandelions in your tub (the whole flower, with sap seeping out from the cut stem) to treat skin issues caused by infection and to help clean cut or scraped skin. Dandelions are a natural source of lecithin, a moisturizing agent that assists in balance the skin’s water level. Horsetail contains more silicon than any other herb on the planet. Silicon is the primary compound in collagen, a substance that gives skin its firmness and elasticity. Soaking in a tub with horsetail flowers can help your skin retain its natural glow, become suppler, and heal from rashes caused by eczema or contact dermatitis. In addition to these flowers, St. John’s Wort, neem, and lavender are ideal for including in your bath. These flowers, like those mentioned above, contain many soothing properties that help you have great-looking, and feeling, skin. And, flowers like lavender smell divine, which is an added benefit if you’re turning to the bath for some relaxation. Do you like to float flowers in your bath? If so, do you do it because it helps your skin, or do you enjoy the way your tub looks and smells with flowers strewn in it? Feel free to leave us a message in the comments below with your favorite flowers for the bath.